All our ingredients are organic. We use only the highest quality flours that have been stone milled and therefore preserve the germ of the wheat (which contains most of the vitamins and nutrients). To make our breads, we only use three ingredients: flour, filtered water, and sea salt from the natural park of the Delta del Ebro. No other additives, no preservatives, no sugar, no fat, no added yeast, no added enzymes! Our bread will keep for at least a week. To ensure that it doesn't dry out too quickly, keep it on the counter wrapped in a kitchen towel or stored in a cotton bag. We encourage you to buy your bread not cut in slices and to purchase a good bread knife (we sell some!). Florencia Aurora is an ancient french wheat variety that was popular in the 1950's. This is our classic sourdough bread with a soft open crumb contrasting wit thin crispy crust. Ingredients: Florencia Aurora flour, spelt flour, filtered water, sea salt. Montcada is a wheat variety that was cultivated in Catalonia in the 1930's. It has a subtle and unique mild flavor. Ingredients: Montcada flour, filtered water, sea salt. Ideal to get a first idea of the uniqueness of ancient wheat varieties. We use 4 different varieties in this bread: Xeixa, Montcada, Florencia Aurora and Alcalá. It has a deep, surprizing flavor with notes of cinnamon. Ingredients: Xeixa, Montcada, Florencia Aurora and Alcala flour, filtered water, sea salt. Our rye was grown in Palencia at 1000 meters of altitude. It's a unique ancient variety that has been cultivated through generations in the family of the farmer. 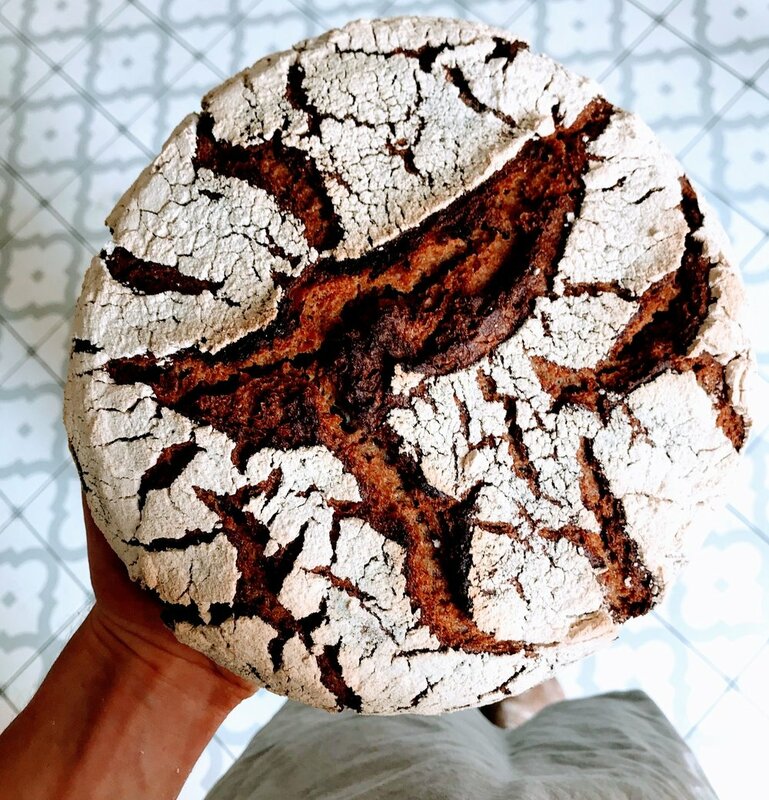 We use a dedicated rye levain to ensure that only rye flour is used in this flavorful bread. Ingredients: rye flour, filtered water, salt. Our protein-packed wheat-free bread is made with oats, seeds, almonds. 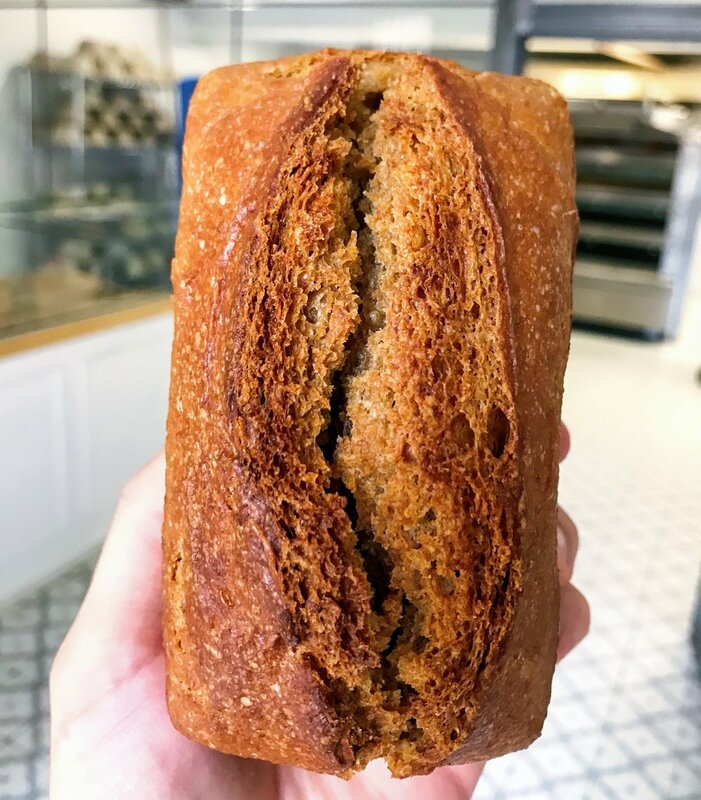 It's a rich bread with it's own personality which will help you start the day full of energy. Due to its content in psyllium seeds, it also helps facilitate digestion. Ingredients: filtered water, oats, sunflower seeds, sesame seeds, flaxseeds, almonds, psyllium seed powder, chia seeds, honey, extra virgin olive oil, salt. Enjoy all the nutritional benefits of the oldest wheat cultivated by man. Einkorn has been proven to contain significantly more macro and micro nutrients, vitamins and carotenoids (which are anti-oxidant, anti-inflammatory) than modern wheat. Ingredients: Einkorn flour, filtered water, sea salt.